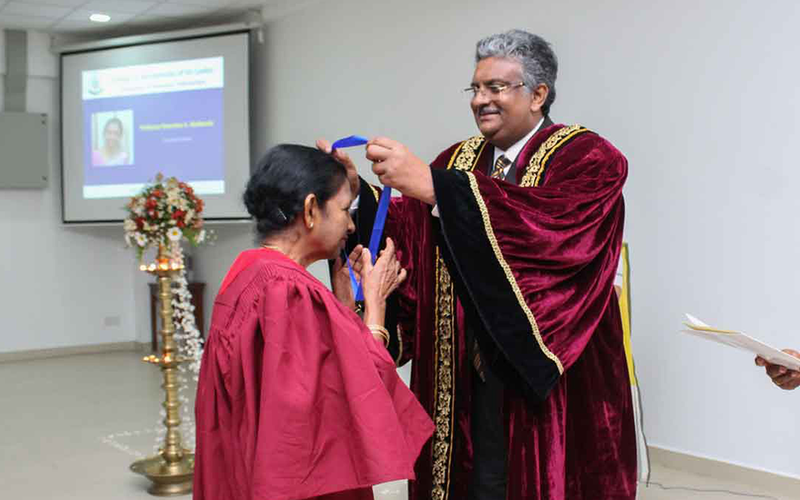 The College of Biochemists of Sri Lanka (CBSL) held its inaugural induction of Honorary Fellows on the 4th of April 2019 at the Faculty of Medical Sciences, University of Sri Jayewardenepura. 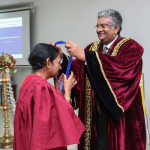 It was organized to honor the Professors Emeriti as well as the Senior Professors of Biochemistry in Sri Lanka who have rendered yeoman service to the discipline. 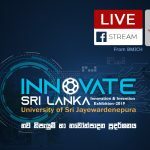 Senior Professor Sampath Amaratunge, Vice Chancellor of the University of Sri Jayewardenepura was the Chief Guest of the occasion. The website of the College of Biochemists of Sri Lanka was also launched by Senior Professor Sampath Amaratunge. 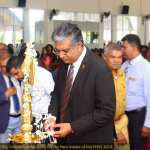 The Vice-Chancellor praised the CBSL for organizing an event of this magnitude and pledged his assistance in the activities of The College of Biochemists of Sri Lanka. 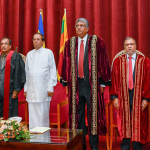 The President of the College, Professor Sugandhika Suresh in her speech at the induction, stated that it was a historical event in the academic calendar of Sri Lanka as 17 eminent Biochemists and Molecular Biologists were inducted as Honorary Fellows. 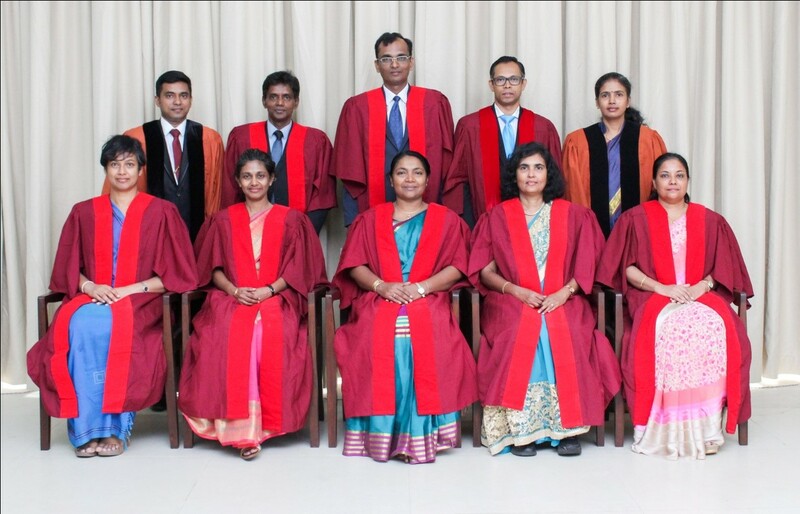 Eight eminent Biochemists were personally present to receive the fellowship and 9 were inducted as Fellows in absentia. 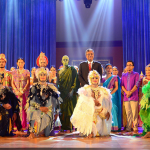 Professors Emeriti ER Jansz, University of Sri Jayewardenepura, Eric Karunanayake, University of Colombo, Ira Thabrew, University of Kelaniya, K Balasubramaniam, University of Jaffna, PAJ Perera, University of Peradeniya and Chitra Pathirana, University of Ruhuna were among the distinguished Biochemists who were inducted as Fellows. The majority of them had published 50 – 100 indexed articles and had supervised numerous Master’s and Doctoral students. 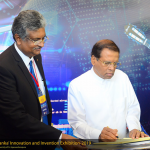 The knowledge generated by them has contributed immensely to improve the scientific outlook of Sri Lanka. Prof. Sugandhika Suresh thanked them for being the guiding lights and for nurturing the young generation of Biochemists in the country. Dr. Usha Hettiaratchi, Joint Secretary of the College of Biochemists of Sri Lanka thanked the Vice Chancellor for the support extended during the activities of CBSL. 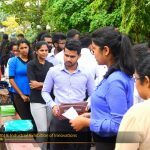 The College of Biochemists of Sri Lanka (CBSL) was established in August 2013, with the aim of uplifting the status of Biochemistry and Molecular Biochemistry in the country. Biochemistry, a laboratory-based science, explores the chemical processes of the living organism, thus bringing together biology and chemistry. It touches diverse disciplines ranging from medical research to nanotechnology to plant biochemistry and it mingles with molecular biology and genetics. 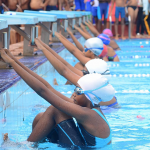 Its integral presence in almost all biological disciplines makes it fundamental for both applied as well as translational research for improving the quality of life of humans/animals as well as for economic development in the country. The College of Biochemists of Sri Lanka is projected to become the academic and educational headquarters for biochemists as well as molecular biologists in Sri Lanka, which will conduct training and educational activities, promote research and publication and collaborate with other national and international not-for-profit bodies in achieving its objectives. The long-term objective of the College is to function as an advisory body to government and other policy-making organizations. CBSL is the national representative body to the Federation of Asian and Oceanian Biochemists and Molecular Biologists (FAOBMB), which currently has representation from 21 countries. Sri Lanka has been a constituent member of FAOBMB since 2013 and has maintained a good rapport with the Federation. This led to an invitation to bid to hold the 28th FAOBMB conference and we were successful in defeating Australia and New Zealand and being elected to host the conference in Sri Lanka. 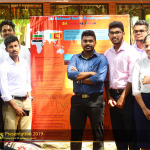 More information regarding the FAOBMB/CBSL conference to be held from 10th-13th June 2020 can be obtained from the website; https://www.collegeofbiochemists.lk/ and by contacting collegeofbiochemistssl@gmail.com or +94112803578.